Yes, you can deposit in btc and trade on a usd denominated ac & withdraw out in btc . you can check the details with their chat team, they offer 4 other ac base currencies accounts as well . I usually deposit btc and trade on a usd base ac and my withdrawals go out in btc &eth. i traded with evolve for a while before moving to coinexx. though nothing against evolve but i prefer coinexx over them simply cos they allow you to deposit & withdraw in 20+ diff cryptos. I like that they let you to withdraw out in any of the crypto currencies listed in withdrawal list, irrespective of wht your deposit currency was. they get back to me about the glitch, I’ll let you know. [EDIT] They got back to me with this response. I am happy if it’s fixed !! Apologies for the inconvenience but im glad we are able to resolve it quickly for you. Would you be able to expand on why the higher leverages make it possible to have less money at risk when using an offshore? I will be going live in September and this thread has been exceptionally helpful for me choosing a broker. My broker list is down to three: Turnkey, LMFX, and FX Choice. That list will be narrowed to two come the start of August and will choose my broker by the end of the month. I will be sure to contribute to this thread and share my experiences with the broker of my choosing. amounts (lot size) with a given amount of base account equity. in the offshore account for the same buying power. methods which are proven to control your exposure. @Mapex4X I think higher leverage lets you better manage your risk. Say you have two accounts each with 10K USD. Account 1 has 10X leverage and Account 2 has 100X leverage. Both the accounts have margin call at 70% and position closeout at 50%. Now lets say you buy 1 standard lot of EUR/USD in both Account1 and Account2. Mathematically speaking, you have the exact same risk and risk capital in both the accounts. After the above trade, In Account 1 your free margin will be 0% and in Account 2 your free margin will be 900%. Now lets assume, EURUSD goes down by 300 pips. 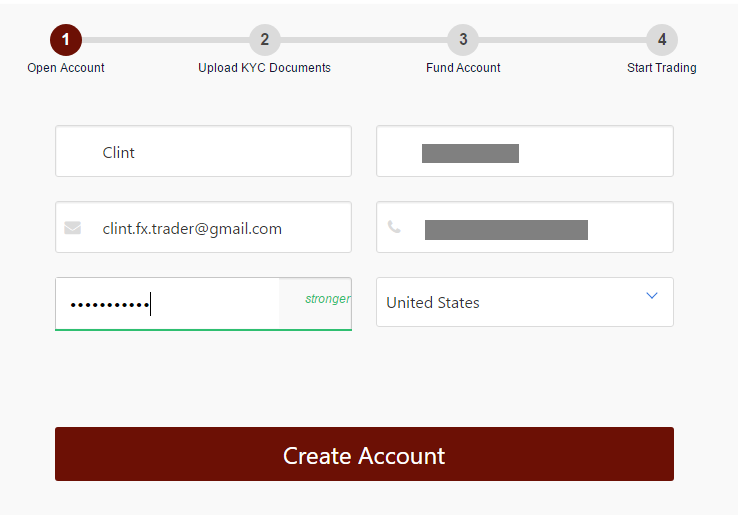 You are loosing 3000 USD on your trade both in Account 1 and Account 2. In Account 1 you will get a margin call but in Account 2, your portfolio is intact and you can continue to hold your positions. Now lets say EURUSD goes down furhter 200 pips. In that situation, you will be loosing $5000 in both Account 1 and Account 2. Your free margin in Account 1 will be -50% and in Account 2 will be 400%. At this point, your Account 1 will hit a margin call and your positions will be closed out by your broker of Account 1. BUT in Account 2, there will be no change to your portfolio and your positions stay untouched. So essentially you are going to have to fund your account or risk close out of positions pre-maturely in Account 1 while in Account 2, you not only can carry on with your positions but can also add more positions if you wish to double down or diversify. Essentially, the more the leverage, the better it is for your portfolio “Assuming” that you will not abuse the leverage. By Abuse of leverage I mean, that technically, you can only open 1 standard lot in Account 1 but you can open 10 standard lots in Account 2. And in that case, if EURUSD goes down by 100 pips, your Account 2 will wipe out while Account 1 will stay in tact. The issue is that regulators assume that the forex traders are dumb and will always open 10 standard lots instead of 1 if given the choice and hence should have the leverage down to 10X instead of 100X. This might be true for amatures or start-up traders, but is almost always wrong for educated / pro traders. And almost always inevitably end ou making it difficult for forex traders to make right bang for the buck. Plus, forex is an OTC market and regulators like exchanges more than OTC because there are more fees, more taxes and more control on what can be traded as opposed to OTC market. In the end, if we can pay higher taxes and smoke as much cigarettes as we want, even though we know its bad for health then Why can we not make our own decision on our trading leverage ? Also, offshore brokers offer something US brokers won’t (can’t because not allowed by CFTC regulations) – “negative balance protection”. So you get the advantages of extreme leverage, with limited downside risk like an option. Imagine having a large short position in CHF Futures going into the SNB crisis a couple of years ago. The CME would have called “Dog the Bounty Hunter” to collect the loss “down to your last cufflink” as they used to say. More than a few trading careers were ruined that day. But if you had been trading offshore, account balance would have been zeroed, otherwise no big deal. Yes, of course. Zero balance protection is an insurance policy, not a trading strategy! but they are limited to the BitCoin BTC funding currency. MT4 account, but that is wrong. expect to use Coinexx extensively, as well as Evolve. The Commodity Futures Trading Commission filed a civil enforcement action in the U.S. District Court for the District of Utah against JAFX, Ltd. (JAFX), a/k/a JAFX, EOOD, of Sofia, Bulgaria and Kingstown, St. Vincent and the Grenadines. I hadn’t posted in a while, but wanted to give you all an update on CCM (Capital City Markets). I began having trouble earlier this year withdrawing funds. Rather then the typical 2-4 days it should take I was waiting 1-2 months. They kept giving excuses that they were having trouble with their intermediary bank (the bank was requiring more documentation) and said they were trying to resolve the situation as quickly as possible. I’ve made multiple withdrawals throughout this year with the same issue every time…but I ended up getting my money (after many emails). My last withdrawal was submitted last in May but wasn’t received until July. They actually split that into 2 wire transfer saying that they weren’t allowed to wire that much cash (was only $25k). Received one and after a few more weeks (and many emails) I received the last part of my withdrawal. I know they were red listed by the CFTC last year (sorry, since I’m a noob they won’t allow me to post the link), so maybe the additional regulatory attention is causing these issues, but I hate when they leave me in the dark about why I can’t get my money out. End result, I got all my money back. But I don’t trust them anymore and won’t be using them. I don’t like having to wait that long for my money, and it just seems to get sketchier and sketchier. The fact that they haven’t fixed the issue and haven’t been fully transparent about it just shakes my trust in them. **Side note, their spreads are really high most of the time. Anyone else having similar issues with them? Should we remove them from our list? Would be interested to hear others’ experiences. JAFX has been included for many months in the Alphabetical List of Brokers in post #4 of this thread. And the listing has always said “no U.S. clients”, because that’s what the fine print at the bottom of each JAFX webpage indicates. United States is already filled in. This makes it pretty clear that U.S. clients are welcome. No problem, apparently. 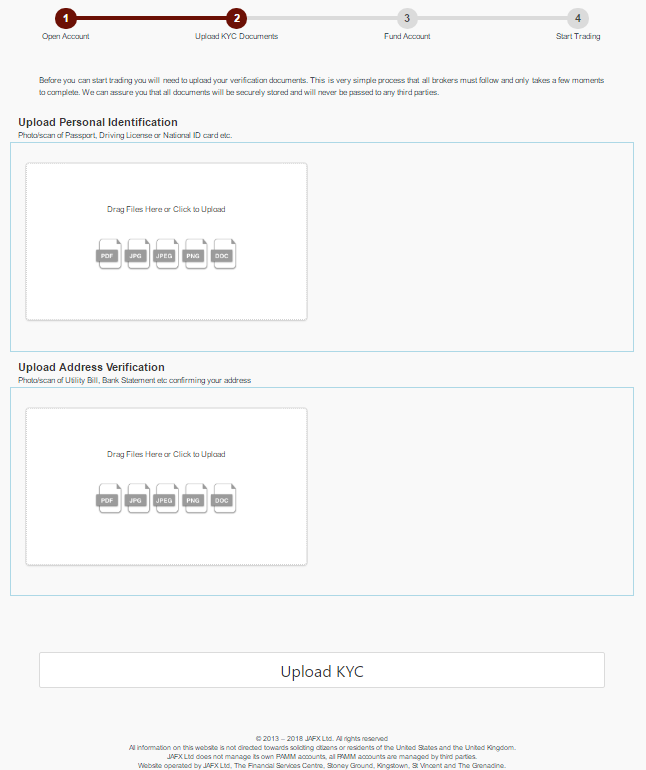 When I clicked “Create Account”, I was taken seamlessly to the next page, which asked me to submit identity documents. 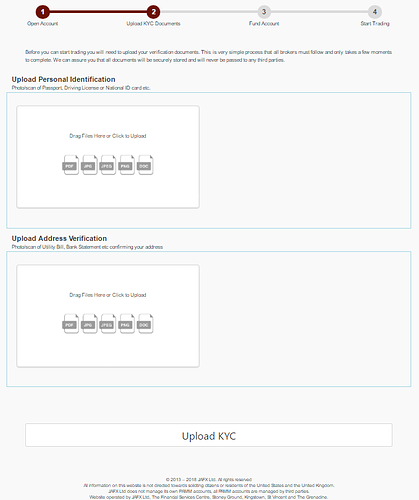 It appears that JAFX has done a poor job of disguising the fact that they will, indeed, open accounts for U.S. clients. The control-freaks at the CFTC will always go for the easy-pickings first. 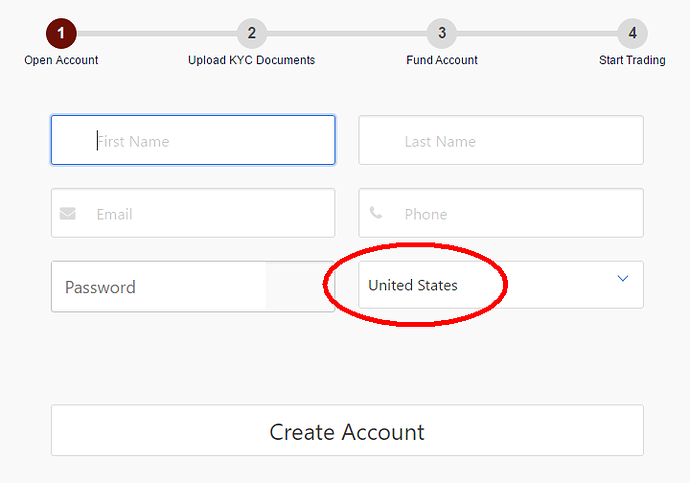 JAFX kinda asked to be noticed by the CFTC when they made “United States” the default selection on their account opening page. Let this be a lesson to all our offshore broker friends. End result, I got all my money back. But I don’t trust them anymore and won’t be using them. Hello FW. Thanks for the update. I haven’t traded with CCM, and I’m not inclined to do so in the future. But, like you, I have wondered whether we should continue to host them in Group 1 of our List. Anyone who has live trading experience with CCM is invited to weigh in on this question.